Many couples seeking fertility treatments go through an array of tests, only to find there are no medical explanations for their lack of conception. Hypnotherapy can be beneficial for unexplained infertility. It can help you identify and process emotional issues that might be interfering with conception. In addition to dealing with harbored fears, hypnotherapy is effective in stress reduction, which in turn allows for hormonal rebalancing. Women that experience stress often produce excess prolactin. Prolactin is known to inhibit ovulation. By releasing causes and reducing stress, you can enter a fertile state. 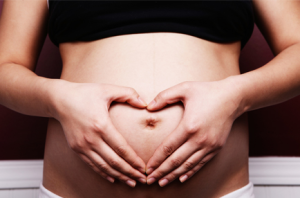 Hypnosis prepares you mentally, emotionally and physically for conceiving a baby. By accessing your subconscious, you no longer feel anxious about the next attempt, meaning your emotions won’t affect your hormone levels in a negative way. I use Sjanie Hugos Fertile Body Method to assist my clients in becoming more relaxed and in tune with their body. Every case will vary, but a typical fertility client schedules five to seven sessions.